Every progressive society is built on the foundations of constant learning, ability to adapt to new circumstances and changed environments; overcoming challenges and drawing lessons from failed experiments. No nation in the world ever had it easy like the proverbial bed of roses; rather human civilisation is a product of continued trials and never giving up. This is the context for this discourse which is about what the incoming All Progressives Congress government can take away from the mistakes and failures of the outgoing Peoples Democratic Party-led Federal Government. What did the PDP government and party do wrongly that culminated in their electoral misfortune? This is not necessarily about politics but how political power was channeled to the resolution of national development challenges. It is not about emergent triumphalism but a discourse on the dialects of development. The jurisprudential postulate of separation of powers appears quite attractive and seems to be a cornerstone of the presidential system of government. The three arms of government should maintain some level of independence to act as a check and balance on one another. But this should not be given a skewed interpretation. In the outgoing administration, we had a scenario where the ruling party produced the President and a majority in the National Assembly. While the legislature should be given a free hand to choose its leadership, the APC should avoid the ridiculous position in which the choice of the ruling party for a major legislative position where it has the majority to claim the seat is defeated because of internal divisions. However, this is not to suggest imposition of leadership in the legislature by godfathers or forces outside the legislature. It is also not a recommendation for a rubber stamp and docile legislature. There should be a consensus building approach that carries everyone along while respecting the powers conferred on the different arms of government. In the outgoing government, it appeared that the President and the Speaker of the House of Representatives elected on the ticket of the same party were working at cross purposes. This was the relationship between President Goodluck Jonathan and Speaker Aminu Tambuwal. The result was that the party did not have its way in terms of getting key bills that should drive the Transformation Agenda of the administration through the legislature. For instance, every reasonable Nigerian found it hard to fathom the reason why the National Assembly could not pass the Petroleum Industry Bill in four years. The current imbroglio between the President and the National Assembly on the alterations to the 1999 Constitution is also evidence that the two arms of government are working at cross purposes. For three years, the National Assembly appropriated money for constitution amendment and debates have been ongoing. It is difficult to fathom why the leadership of the National Assembly and the President never met to harmonise their respective positions and if there is a conflict, resolve them at the caucus of their party and thereafter seek the buy-in of Nigerians. This is what leadership entails. Rather, the two arms are publicly washing their dirty linen after the expenditure of huge amounts of money, time and other resources. The loser in all this are the Nigerian people whose resources had been wasted and taken on a ride to a journey without destination. From the manifesto or the developmental blueprint of the APC, President-elect Muhammadu Buhari should be able to identify key bills and agree with the legislature on a timeline for passing them so that he can hit the ground running. If the administration proposes to amend the 1999 constitution, it should start the process on time and not wait for less than six months to the end of the tenure to conclude the process. In the budgeting arena, there is the expectation that party positions with its accompanying discipline should drive the executive and legislative approach and interface. Unnecessary feuds and delays should be a thing of the past especially if the two arms follow the due process of the Fiscal Responsibility Act in the preparation and approval process. Fiscal discipline will involve sticking to timelines and opening up the process for more popular participation. A situation where the present administration fails to present the budget proposals to the National Assembly on time and budget implementation reports are hardly available, etc, is not the way of change. It will simply amount to the continuation of the norm if the new regime goes in the same direction. On the other hand, major developmental policies of the administration should be developed with popular input and again marketed to Nigerians after their approval for their buy-in and popular support. We need a new approach where the President can use his legal and moral authority to market fundamental reforms. Using radio, television, town hall meetings etc, to connect with citizens should not end with the elections. The idea is that projects and programmes can be benchmarked by the citizenry based on their consistency with the vision of the administration. Although President Jonathan signed the Freedom of Information Bill into law, the outgoing government’s policies were mainly in the closet of government offices and known to a few technocrats to the extent that it was difficult for the people to know exactly what has been achieved by the administration. For instance, we have a purported Gas Master Plan that is not available to the public. Thus, official documents have to be available to the public at the click of a button in an official website. Under no guise should security be used as a pretext to deny the public access to information that rightly belongs in the public domain. Democracy in a poor and backward nation like Nigerian is constantly about change. People are bound to continue asking themselves about what has positively changed in their lives traceable to the government in power. Thank God, the new administration campaigned on a ticket of change. Thus, the driving factor for governmental policy and action should not be about the interest of a few and the reaffirmation of the status quo. It should be about the re-ordering of priorities in a way that leads to the greater welfare for the greatest number of citizens. Part of the sins of the PDP is that it found itself divided on many fronts and issues by the schisms of North and South, the geopolitical, religious and other divides. Let the divisions in the APC be clearly about the difference between good and bad and light and darkness, so that Nigerians can easily make a choice. 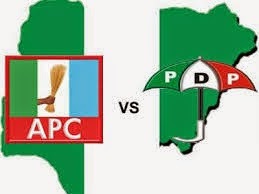 In the aftermath of the 2015 elections, some news coming out of the APC seek and tend to suggest that it may repeat the mistakes of the PDP by an approach to triumphalism that is founded on divisive sentiments and which will eventually alienate some sections of the country and party members. The election has been fought and won and the party has been given the mandate at the federal level to govern the whole of Nigeria. It is too early to have divisions and discontents in a party that is about to transform from being in opposition to the governing party. Let us learn from the mistakes and failures of the past and gain traction for development in the future.